Bandai Namco Entertainment have released an ‘Adventure Mode’ themed trailer for the videogame adaptation of The Seven Deadly Sins anime, known as The Seven Deadly Sins: Knights of Britannia. 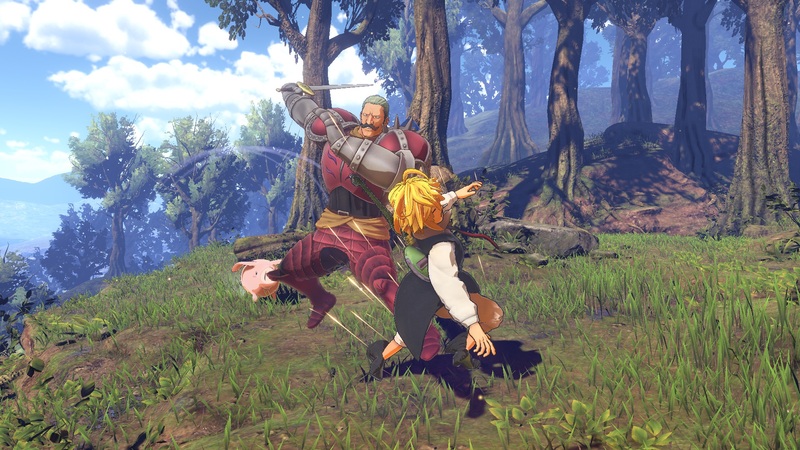 In this trailer fans will get a first look at what to expect from the game including multi-opponent battles, a level progression system and characters that expand the entire The Seven Deadly Sins universe. In The Seven Deadly Sins: Knights of Britannia, players will relive the Anime storyline. From the Boar Hat they will get their battle results, unlock power-ups, select their mission and travel across Britannia! Players will be able to gather Rumors to unlock new quests for amazing battles and adventures! The Seven Deadly Sins: Knights of Britannia is currently scheduled to be released on the 9th February 2018 within Europe.